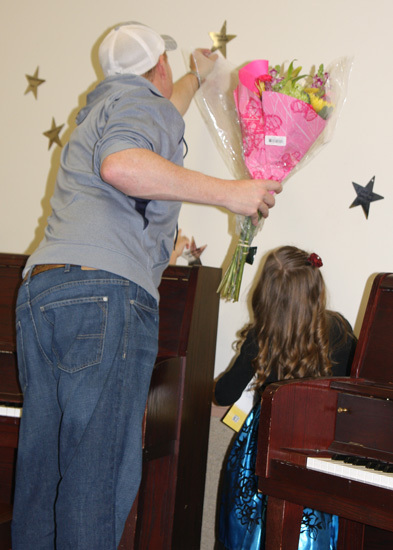 Abby is doing so well on her piano. She really loves it and is learning fast. In December we worked on Christmas songs and learned over 20 pieces. 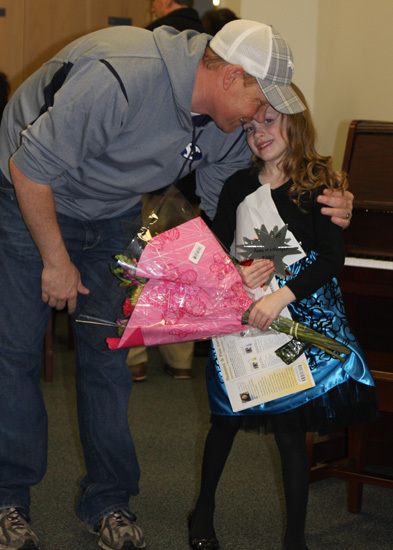 She had a Christmas recital and did very well especially since she changed her songs 2 weeks before to new ones. 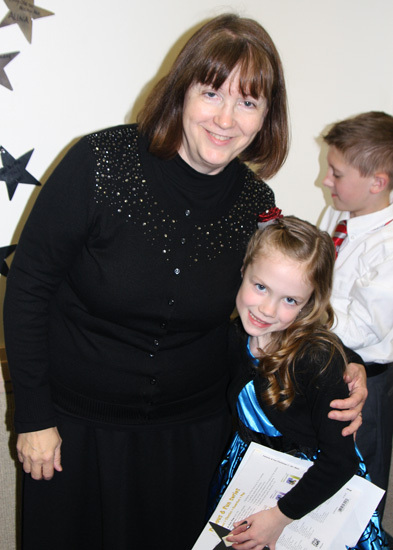 Her teacher Debbie Dean does such a great job with her students. 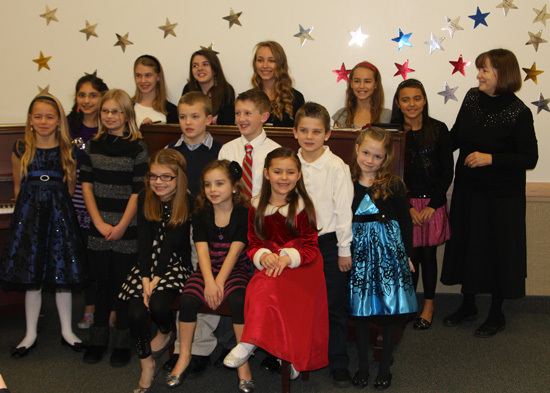 They earned stars throughout the month when they memorized a song. Abby had a lot of stars to collect that night! 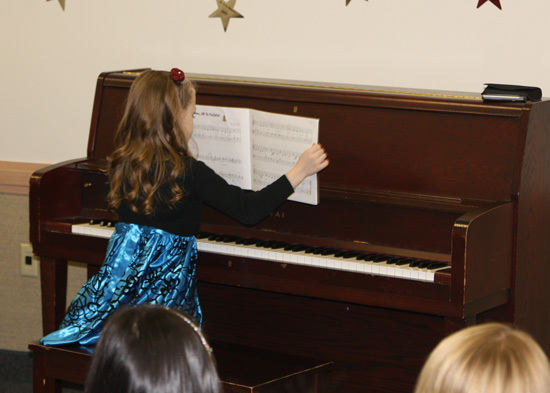 This is Abby playing for my Great Grandma Cheney- it was one of her recital pieces. Excellent! Bravo Bravo. . . .